We are a highly respected company who pride ourselves on attention to detail, and designing displays specifically tailored to each individual clients’ requirements. 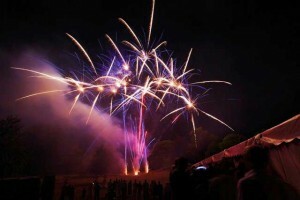 A spectacular firework display is the perfect finale to a wonderful wedding day. 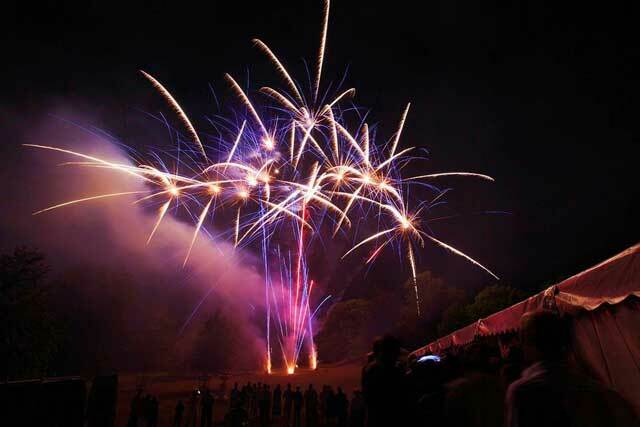 Firebird Fireworks are highly experienced in putting together a thrilling display for small and large parties. We will design any show from any budget. In addition to our professional firework displays, we are also able to offer a variety of discos and road shows ranging form the basic to the fantastic, using a combination of intelligent lighting and state of the art sound systems. at Sidmouth Regatta on Saturday 25th August 2018! This is a record-breaking run in the firework display industry. In 1994 Sidmouth Regatta organisers were looking for a firework display to end the first days’ events. The budget was really small! We were put in touch with F.A.B Firework Displays and Brian arrived with his assistant and set up the display on the pebble beach, adjacent to the Sailing Club. The display was magnificent.This year, 2014, will be their 21st year firing our display and we know that, although with a slightly larger budget, the show will outdo all previous displays.For value, friendliness, efficiency and the quality of the display – we would always recommend F.A.B Firework Displays.